These opening lines from Bart Giamatti’s eponymous essay “The Green Fields of the Mind” are referencing baseball, but they could be–in fact they are–referring to life itself. Our world is transient, and we are mere vapors. The patterns we hold to, the tasks we busy ourselves with, the people to whom we give power to lift or smash our hearts–all of it changes. All of it fades. “Dame Mutability,” as Giamatti calls her, always gets the last word. This is all highly romanticized, of course–the playground of the desperately self-aware, people with overdeveloped vocabularies and teams that didn’t make the playoffs. I would have to admit guilt in each of those categories. Still, I find a tremendous amount of comfort in Giamatti’s essay. It seems more applicable and necessary now than it did forty years ago, when Yale first published it. The world has climbed to vast new heights since 1977, in terms of technological advances. Occasionally, we enjoy the view. Most of the time, we just fight for air. The news cycle–“atrocity watch,” one of my friends calls it–is constantly in our faces. No time to process, lest we miss the next big twist. The message notifications on our phones act like drugs, tantalizing us with the prospect of virtual connection while feeding our raging case of FOMO. We live in constant fear of missing out, whether economically or socially or professionally. Our hyper-connectivity has cast our world in binary–black or white, win or lose, fight or flight. We carry this attitude into our politics, our sports, our workouts, our jobs, our friendships. Alas, even baseball has succumbed to the darker nature of Dame Mutability. Today, on the eve of the playoffs, no one is happy. Sportswriters and bloggers and general managers from teams on the outside of the postseason are doing postmortems, offering reasons and excuses and if-onlys. Their counterparts for playoff teams aren’t reveling in victory, however. They’re too busy wringing their hands, plotting what needs to happen for theirs to bet he last team standing. For most of them, a World Series victory would not bring real joy–only relief. Modern sports fans hate losing more than they enjoy winning, after all. Not so with me, not this season. My beloved St. Louis Cardinals didn’t have the best year, but they won more than they lost, gave me something to root for, passed the time while I drove or wrote or worked in the shop. They played meaningful games right up to the last day of the season. A bad hop, a better pitch, a ball launched at an angle a few degrees higher or lower–any of these might have changed the outcome of two games in the Cardinals’ favor, sending them to the playoffs and breaking another fanbase’s hearts. But the season worked out as it did, and not another way. While there may be disappointment in that for Cardinals fans, there’s no real failure. Dame Mutability may break Bart Giamatti’s heart. But at least she acts consistently. It’s her sister–Dame Chance–that can’t be trusted. And so next year will have to wait. My ritual fall reading of “The Green Fields of the Mind” has grabbed me by the collar and shaken me out of kill-or-be-killed mentality I see all around me. The world may have order, but it doesn’t exist in binary. I don’t have to respond to it as such. And, for this day at least, I won’t. I remember a visit from two of my annual conference representatives that took place while I was in seminary. During the course of their visit, the topic of contemporary worship came up. Both of us said what we thought was true. Many people thought contemporary worship was nothing but an annoying fad. I thought I had about as much chance of participating in that genre as I did of joining the circus. This memory struck me Sunday during worship while I was on stage at Fusion UMC, playing electric guitar with a worship band whose set included not a single song that had been written at the time of my conversation at Asbury. Never thought my office would include pastoral tools such as these. I can see how I got here. The steps from picking up my first acoustic fifteen years ago to playing in church this Sunday are surprisingly linear. My reasoning for expanding both my musical skill set and my appreciation for contemporary genres is as logical as it is for any of my other life pursuits, and maybe more so. But that doesn’t mean that I could see this coming twenty years ago. I couldn’t. Or at least I didn’t. When I think about people I really admire among my elders, I often see a similar “never would’ve thought” pattern. My mother retired from teaching and starting making jewelry. James Williamson went from playing guitar for punk pioneers The Stooges to an executive office in silicon valley—and then, at age 60, back to playing punk rock guitar. My friend Boyd dreamed of parachuting from a plane like Charles Lindbergh. On his 65th birthday, he did it. I used to think stories like this were fun anecdotes. Some people were luckier or more adventurous than others, and their lives took unexpected turns. It gave the rest of us something to gossip about. But the older I get and the better I listen, the more I’m thinking that such surprises are not only more common than I thought. They are essential components to a healthy, meaningful life—not because of the surprises themselves, but because of the posture of openness that makes them possible. We cannot have positive change if we will not allow room for it. Which is partly how I ended up on stage, playing electric guitar with a worship band at Fusion UMC in Mitchell, SD. When these thoughts hit me on Sunday, I couldn’t help but smile, right in the middle of one of the songs. I love where I live. I love what I do. My life has taken a terrific turn, and it all started with a few simple decisions not to rule things out. Who knows? Maybe the circus is next. As long as we’re going to Annual Conference, we might as well have some fun with it! So I’ve developed a few AC games to add a little bit of humor to those sessions. The link below includes several games and instructions, including five separate bingo sheets, in case one isn’t working for you. I’ll have some printed copies at AC for those who would like them, and a backpack full of prizes. And for those of you not in the Arkansas Annual Conference, please feel free to adapt these as needed to your local setting. Here’s to a good time being had by all! The routine also earned her more than just a little fame. In April, while I was busy flying to job interviews on decidedly boring Delta flights, Cobb’s video was gathering more than two million hits on YouTube. She even did the talk show circuit, including her personal favorite, Ellen. But don’t get too caught up in the stardom or even humor itself, wonderful though it is. Realize for a moment what Marty Cobb is doing. She isn’t just making people laugh. She’s doing her job. She’s getting the passengers on her side before they can get cranky and demanding. She’s making the safety procedures that many fliers have heard a hundred dreary times come alive. She has created an emotional imprint tied to the procedures. If an emergency occurs, people are more likely to remember what to do. Turns out that a lot of Southwest flight attendants have routines similar to this one, whether in comedy or song or rap. The company complies with TSA standards and tests their employees for competence. But they also allow them the freedom to both enjoy their work and bring others into that circle of fun. Why don’t more of us do this? Why don’t we incorporate humor as a way of making our message stick? Why can’t we laugh at ourselves and the occasional absurdity of our jobs, and why can’t our employers let us poke fun at them if it accomplishes our organizational goal? I don’t have a good answer for that, except that maybe we take ourselves too seriously. Or, better said, that we spend too much time on ourselves, period. I can see where I’ve fallen into this in recent months, perhaps not without reason. When you’re fighting to keep your head above water, it’s hard to pay attention to anything else. But often the “anything else” turns out to be the most important thing. It’s only by learning to look around that we find things that surprise us or inspire us or make us laugh. A writing instructor once told me that a good writer doesn’t hand an idea to the reader. Rather, he or she grabs the reader by the wrist and says, “Come on! You gotta see this for yourself.” Marty Cobb did this for her passengers, and in turn for millions of social media users. She made us laugh, and in so doing reminded us to pay attention. Humor taken to heart just might save our lives. The best advice I’ve gotten about moving so far? Get boxes from the liquor store. That’s not to say I bought the liquor inside them. I didn’t, although more than one friend has inquired about such while helping me pack. 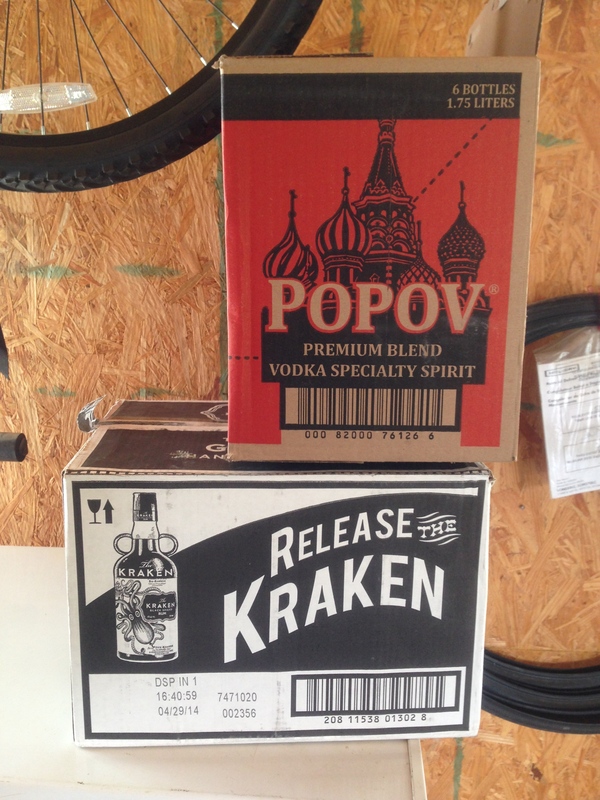 I simply went by the spirits store nearest our house, asked for boxes, and came out with a truckload of cardboard cases that once held whiskey, tequila, wine, vodka, and a rum with the dubious moniker The Kraken. Why do these boxes work so well? In part because liquor is expensive. The packaging companies don’t want their product or profits to spill from broken bottles. So they pack them in sturdy, well-made boxes. On top of that, the boxes are small, presumably to minimize losses in the unfortunate instance of a dropped case. Movers can pack plenty in them without worry that they will be too heavy or cumbersome, as appliance boxes tend to be. The Kraken…sounds fishy to me. But it’s a great box for packing. there would be nothing at all funny about someone consuming 30 boxes worth of hard liquor, it is funny to watch people—particularly in the Bible Belt, where I currently live—step out of the unloading line for hushed conversations about why the preacher would be moving that much alcohol into the parsonage. At it’s core, however, my affinity for using liquor boxes is utilitarian. They worked to accomplish the purpose of their original design. They work just as well when re-purposed. But they can’t accomplish both at once. I thought about this as I packed my office last week. Had those boxes been full, they would have been no use to me, no matter what they contained. I have things—books and Cardinals’ paraphernalia, mostly—that are important enough for me to haul a thousand miles north to my next appointment. I only have so many boxes, and each one has only so much space. Anything already in my boxes would waste space at best and thwart my prioritizing at worst. It’s also true on a metaphorical level. 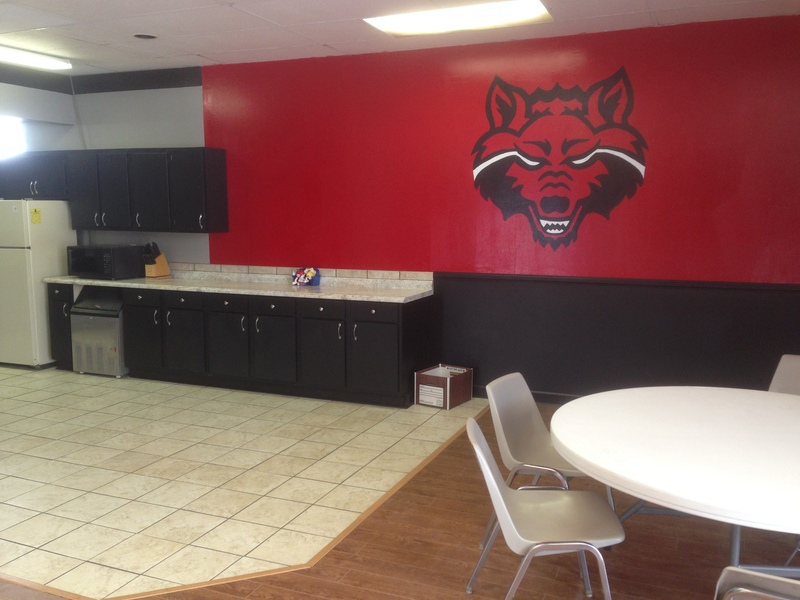 Like any pastor anywhere, I have accumulated a hodgepodge of emotional memories in my time at Arkansas State University. Baptisms. Weddings. Sacred conversations. Moments of victory. Frustrations. Broken promises. Falsehoods and failures. If I only have so much space, which of those will I prioritize? The answer seems obvious enough: accentuate the positive! But the actual packing tells me that turning the obvious into practice is easier said than done. No matter. Jesus went out of his way to make sure his followers knew that “easy” was never a criteria for faithful actions. I know what I have to do. And I want to do it. 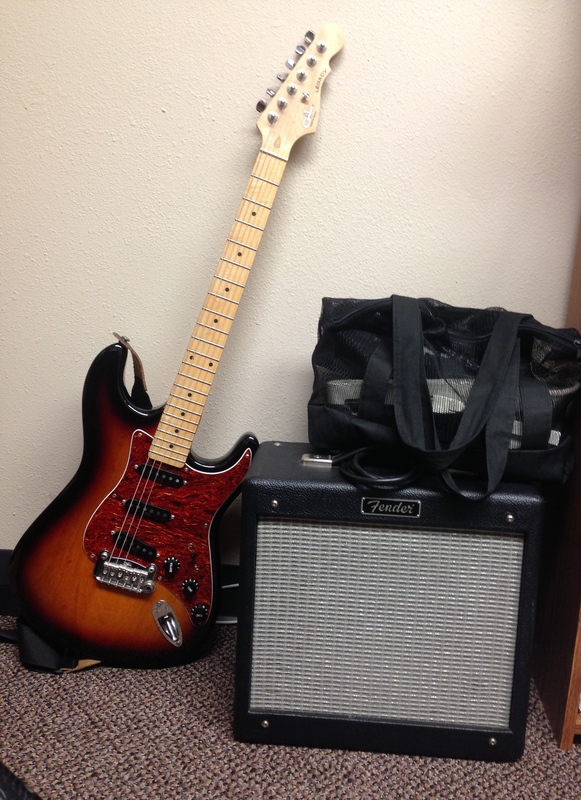 I want to carry with me the best of what I’ve been part of in ministry in Arkansas, and to jettison the rest. So I’m mentally piling up the bad memories—few in number, but strong in emotional pull—and throwing them into the dumpster. The good memories are going with me, in boxes repurposed for a better spirit. When our pet of 13 years died last fall, we mourned for weeks before adopting a new one. When Buster, the replacement cat, was lost to a freak accident during a thunderstorm, we mourned again. 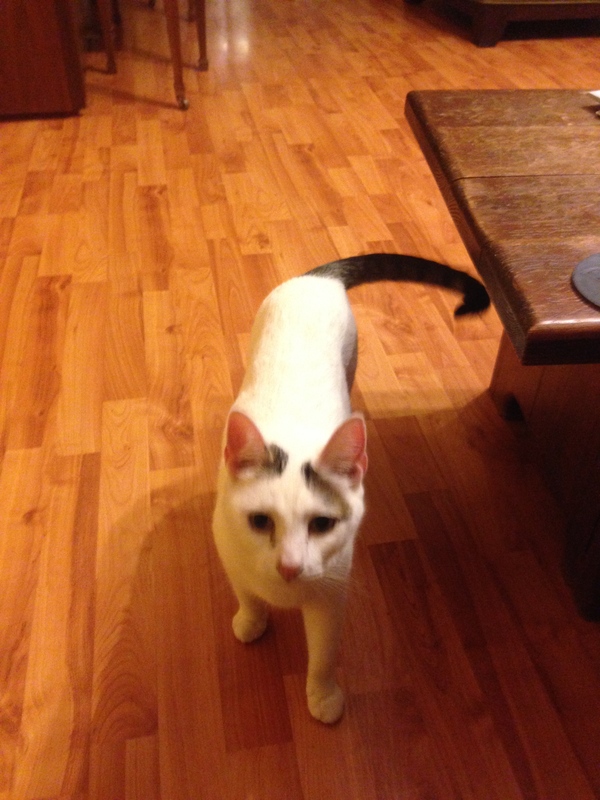 But the boys bounced back quickly this time, and over the weekend we adopted a rescue kitten from a friend. Our newest Van Meter, maybe the most awkward yet. What we did not expect was the arrival of the mama cat along with the kitten. But when the carrier door opened, out stepped a full grown female, who immediately parked under the couch and decided she was home. Within five minutes, they boys had named the grown cat Lucy and promised to take good car of her and the kitten, now dubbed Emmett. The car drove away before I could finish mentally adding up vet bills. It took several minutes before I finally got a good look at Lucy the Mama Cat. When I did, I saw perhaps the most awkward animal I have ever encountered. 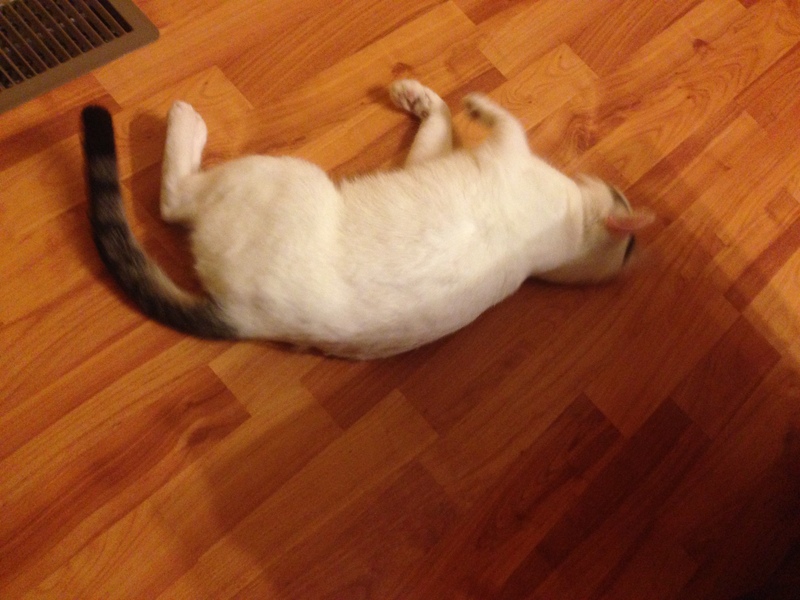 Her body is snow white, except for two patches of gray fur on her forehead. Her tail is completely gray and skinny as a pencil. She looks like a barn cat wearing a badly tattered arctic fox suit. And she was now mine. I had to feed her and care for her. I would have to take her to the vet and clean out her litter box. No matter how awkward she looked–and she looks very, very awkward–she was now family. But that’s the way it works, I suppose. You don’t get to choose family, and often you wouldn’t if you had the chance. The same can be said for classmates and coworkers and people you ride the bus with. Oftentimes, it’s the most awkward among these who attach themselves to you, who crawl under your couch and refuse to leave you in peace. If God asked me, I would give him a list of those, human and feline, who I would just as soon not share the planet with. I have my own problems to deal with, thank you very much, and it’s hard enough to love those I have a natural affection for. I doubt very much that God would care in the least. He’d send me on my way and I’d have to figure out how to make the best of it. No, not dead. Just rolling around for fun–and why not? So we have Lucy the Cat, who now is family. And I have to learn to love her. Experience tells me that I probably will, but also that it may take some work. The Monday after Easter brings with it a healthy dose of reality along such lines. The pageantry and lofty worship services are over. Christ is risen. Now what? Now we get back to the work of loving our neighbors, regardless of what they look like or how they come to us. We get busy caring for those who claim part of our space as their own. Like it or not, that’s the work we’ve been given. Whatever walks out of that carrier, we’ve got to find a way to love it. And if we’re smart, we do so by remembering that we are the awkward ones too, and that somebody along the way has done the same for us. 1) Be grateful for–but don’t necessarily accept–every offer of help. 2) Experience is a great teacher, and a tutor an even better one. But never underestimate what you can learn by watching YouTube. 3) The uses for silicon caulk may rival duct tape. 4) Measure twice, cut once,” is at once a brilliant and impossible strategy for me. 5) Tile saws can literally freeze up if the weather gets cold enough. 6) Imagination and ingenuity are at least as important as resources available. 7) Those with less to give tend to offer the most. Our biggest single donor to the reconstruction effort was a church of about 50. A sister organization collected money throughout the fall to help with the repairs, despite their own budget difficulties. This is one of the more humbling lessons. I’m sure there are others, but that will do for now. I would say I’m happy to be back to full time ministry again, but the truth is I never left it. Making space is as much a task of ministry as preaching or counseling. How many other jobs require so much of you, but also teach so much to you? It’s a good time to be in campus ministry.